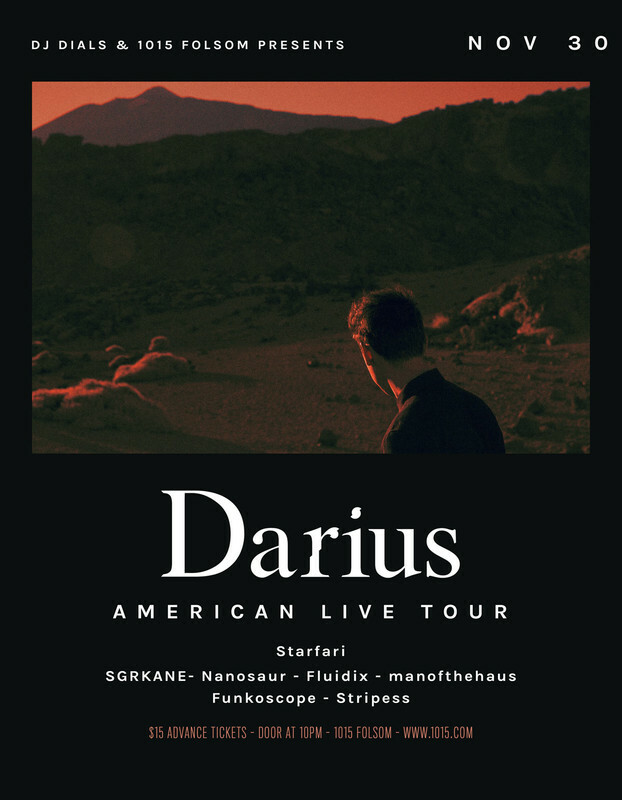 Due to issues with Darius’s passport, he had been forced to postpone his headline LIVE tour to—FRIDAY NOVEMBER 30th. Tickets from 6/1 are still valid for this show! Darius is a French artist known to be one of the supporters of a House of a new kind. Inspired by Funk and Disco sounds, Darius adds complexity to his sounds, placing him alongside the most respected producers of the moment. After her magnificent debut EP "Maliblue", Terence N'Guyen was Cherokee's gateway to the international scene. Without considering himself as a superhero, he is now focusing on his solo project. In his EP "Velor" and "Romance" or in his remixes for artists from around the world, from France to abroad. Everyone wants to put Darius in their ears.